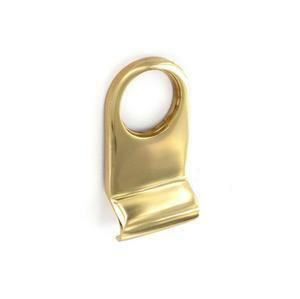 Victorian Cylinder Pull comes with a curved top and is suitable for use with night latches. The night latch cylinder (sold separately) fits snug inside the opening in the Cylinder Pull. Measures 85mmx45mm. Brass finish.